Coming full circle in any endeavor is powerful. Especially when it’s been a long time coming. And in terms of reconstruction, when coming full circle involves more than 45 years, it is even more gratifying to witness a project’s completion. 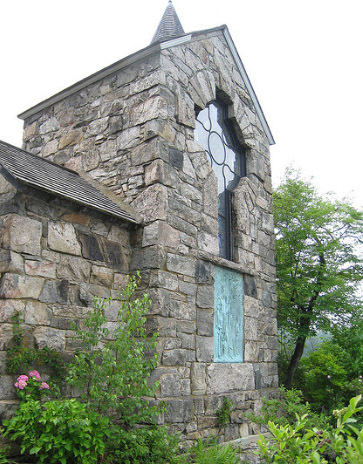 And so was with a historic, storied chapel in New Jersey, placed strategically on an island within Lake Kinnelon. St. Hubert’s Chapel is distinguished not only by its massive Gothic stonework, but also by its nine glorious stained glass windows, some of which were probably made in Germany around the turn of the century. Additionally, the chapel features a stained glass window designed and built by the Louis C. Tiffany studios. Recently, a recreated stained glass window showing St. Hubert as a bishop was unveiled to the family that donated the funds to restore the window. Featuring beautifully saturated yellows, purples and blues, the window of St. Hubert as bishop stands as testament to the power of stained glass windows to inspire the philanthropic yearnings of individuals, and our collective desire to maintain and dignify religious masterpieces. This particular window came to the attention of Corinne Carroll, a resident of the nearby community of Smoke Rise, when she visited in October of 2013. With a background in fine arts and museum science, she was ideally suited to take an interest in the window and oversee its recreation. 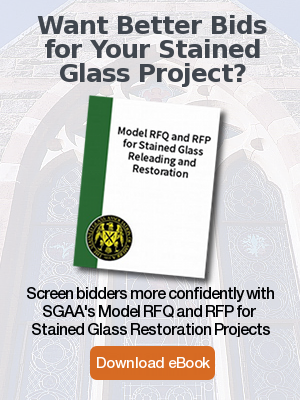 Just as the chapel’s conservation committee turned to Rohlf’s to restore its Tiffany stained glass Celtic Cross several years earlier, it once again engaged Rohlf’s Stained & Leaded Glass Studio of Mt. Vernon to recreate this window, based upon archival black and white footage of how it originally appeared. The project was completed within a budget of $18,000. With the blessing of the local Monsignor, a private mass was held to consecrate the space. With this milestone, St. Hupert’s Chapel is that much closer to being made whole from vandals that broke into the church in 1957 and damaged its interior. 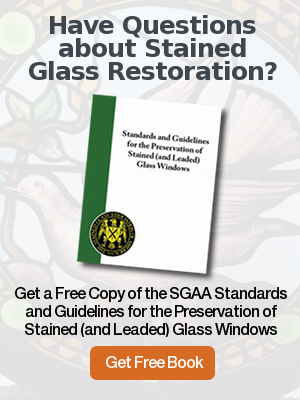 Recently, Rohlf’s has been commissioned by St. Hubert’s to restore and recreate three of the damaged and missing stained glass windows along with refurbishing a stained glass transom.